Our Sunday Club meets most Sundays at 11 am in the Church Room and all children, aged 4 or above, are very welcome. Younger children are also invited to come along, but will need to be accompanied by a parent or guardian. On the first Sunday of each month, we have a less traditional service – called “Morning Praise” which caters for all ages. 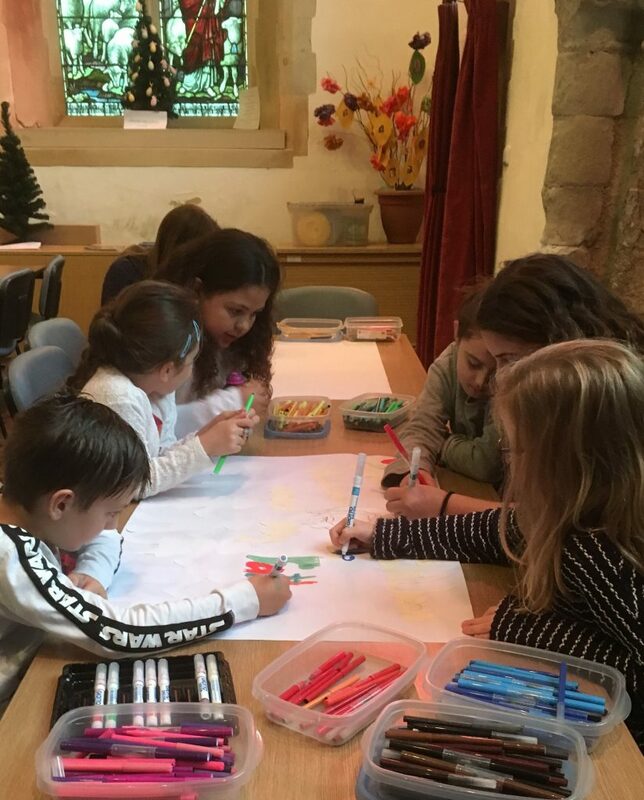 This includes the children’s work – lots of activities and fun in the Church room during the sermon and intercessions! 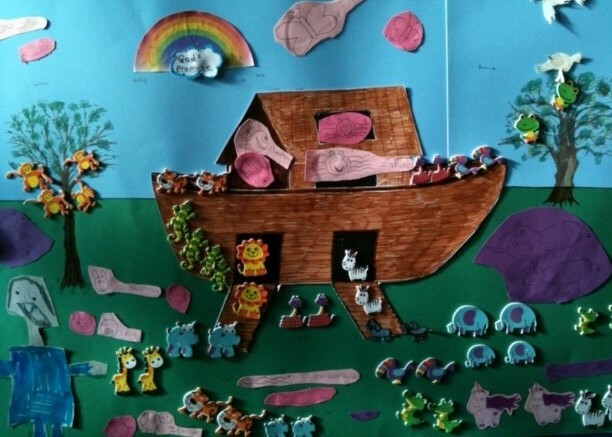 The aim of Sunday Club is to teach the children about the Christian faith in a way which they will enjoy and have fun. 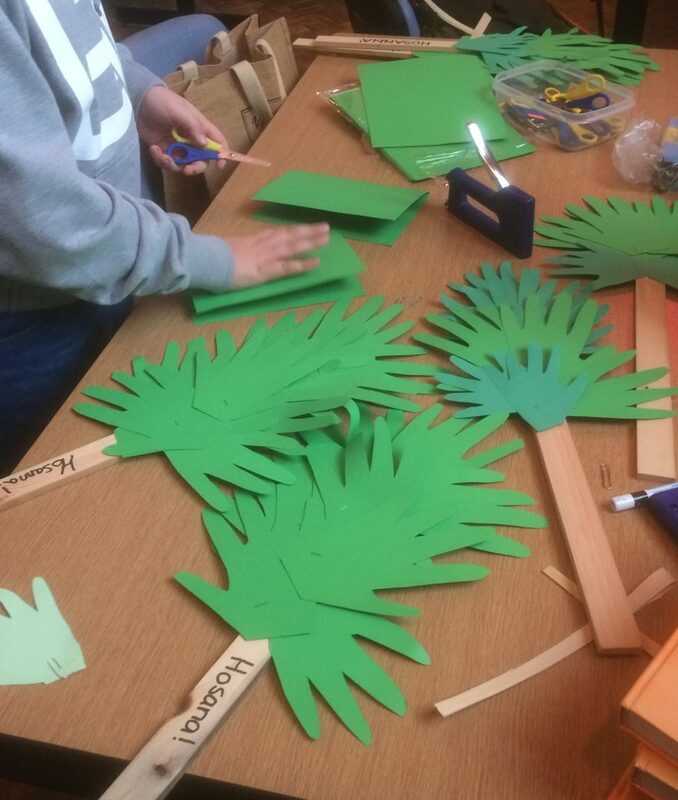 This we do through stories from the Bible, arts and craft work, singing, playing games and quizzes – all of which they love and certainly help to bring the messages of Jesus and the Bible to life for the children. There are always lots of questions and lots of laughter – a great recipe! The children’s ministry is also extended to our local Church of England Primary School, where one of our Sunday Club leaders runs a weekly club on Mondays lunchtimes– called the 3 G’s (God’s Good Guys). Last but by no means least, a three day Summer Outreach event is held annually for children from Sunday Club and the Primary School. As part of the Christian teaching, we feel sharing moral values such as “loving one another” and “caring about God’s Creation” is very important. Our hope and prayer is that the children will become firmly grounded in their Christian faith through this special Ministry.